What do those three little numbers have to do with matters of the heart? Plenty, it turns out. If you get married or decide to live together, your finances will become more and more entwined. Landlords have become more stringent about checking their renters’ credit reports in order to protect themselves against irresponsible tenants. If you and your partner are pitted against other renters with better credit, it’s highly likely that you’ll have to wave your dream apartment good-bye. If you’re thinking about buying, things become even more difficult for those with poor credit. Mortgage rates skyrocket for risky borrowers, if they are able to qualify for a mortgage at all, making the overall investment much more expensive than it otherwise would be. In some cases, the person with the good credit needs to take out the mortgage solo, which can be financially and psychologically burdensome. Want to backpack around South America? Launch a startup? Adopt a child? If you’re in a relationship with someone who’s carrying a lot of debt, it’s going to be much harder to make any of these dreams a reality. Until the debt is paid off, there will always be a black hole requiring more and more of your cash. On top of that, lenders, adoption agencies, investors, and other people involved in making your fantasies reality will be looking at your credit reports to figure out just how trustworthy you are. 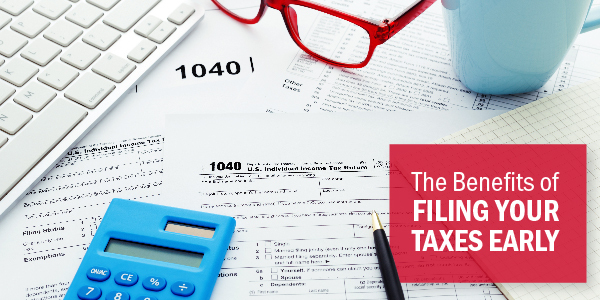 Some employers ask applicants for permission to look at their credit reports, and while it’s not required, denying the request may have negative ramifications on your candidacy. 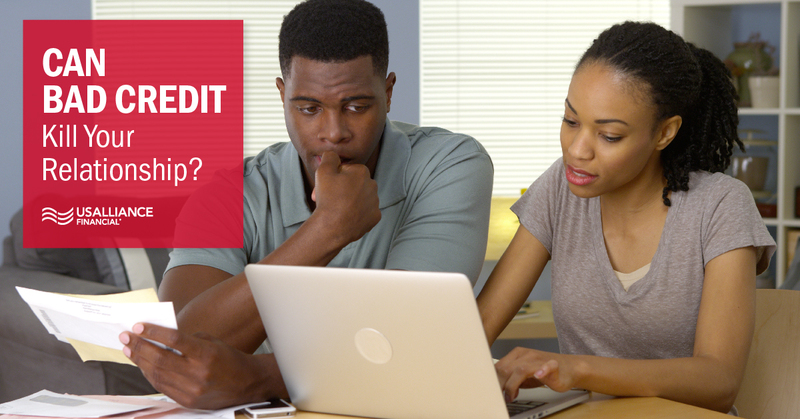 If you do allow the employer access to your credit report and you have bad credit, it’s possible that the employer will see this as red flag with regard to your trustworthiness. While this might not seem like a relationship dealbreaker, it can be. Being unable to find a job can create undue stress and put even more pressure on the person with the good credit. Let’s say that your partner’s credit report demonstrates that they have a hard time staying on top of their credit card payments. 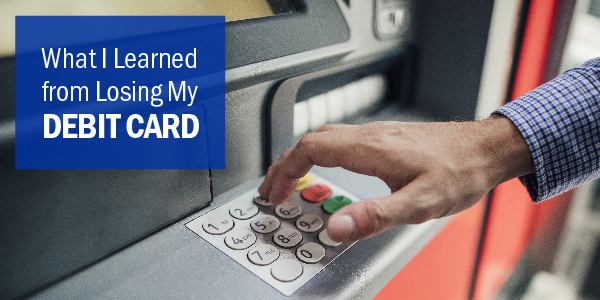 If this behavior continues without a real effort to improve, while you’re continuing to work hard to keep your credit in good standing, you might begin to feel resentful about the responsibilities you have to take on to pick up the slack. Will you wonder how they managed to get that new phone despite all the debt they’ve accrued? Will they begin hiding purchases from you out of guilt? Such thoughts can only spur more negativity and distance between you and your significant other. 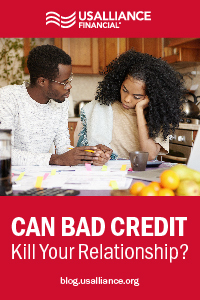 So does bad credit mean the end of your relationship? Not necessarily. Take a look at how willing you both are to tackle the problem so that you’re on the same page about your finances. This, more than the credit report or credit score, may be the true test of your enthusiasm about your future together. Once you’ve made the decision to address the credit issues jointly, you can start by speaking with a personal finance advisor about the first steps to building healthy credit, such as fixing errors on your credit reports, paying down debt, and creating a budget. The silver lining: getting through these issues early on might just strengthen your relationship and help you both to better plan for what the future brings your way. And if you need help raising your credit score, download our ebook for our best tips on how to build your credit.